Dynamite Entertainment is excited to announce the upcoming release of James Bond: Solstice, the latest installment in their critically-acclaimed and ever-expanding James Bond universe. Multi Eisner-Award nominee Ibrahim Moustafa (Jaeger, High Crimes) has been named as both writer and artist on this visually stunning 30-page one shot, which is expected to hit shelves November 22, 2017. In James Bond: Solstice, 007 accepts a mysterious, unofficial mission in Paris. He's to pursue a dangerous Russian, and do…what is necessary. But is Bond the hunter, or the hunted? Writer/Artist Ibrahim Moustafa said, "I am an absolute James Bond fanatic! I have a deep love of the character and his sense of duty within his world of smoky card rooms, tailored suits, refined tastes and eccentric villains. Like most, my affinity for the gentleman spy began with the film franchise, but the original literary version of Bond would eventually become my favorite iteration of the character. 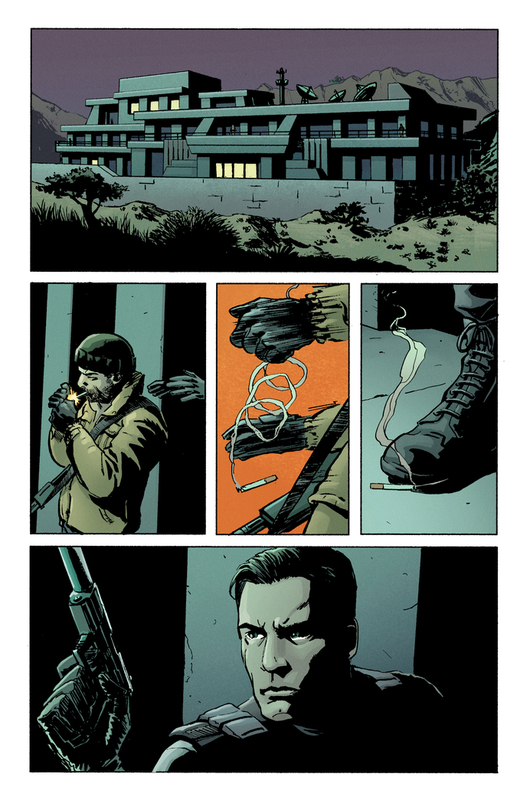 I was absolutely thrilled when Dynamite launched their James Bond series depicting Fleming's Bond in a modern context, and the opportunity to tell a story within that setting is quite literally a dream come true for me. Working with editor Nate Cosby has been one of the most rewarding collaborations that I've had working in comics, and I'm very grateful to the folks at Ian Fleming Publications Ltd. and Dynamite for the opportunity to send 007 on a mission of my very own!" Ibrahim Moustafa is a comic book artist and writer from Portland, Oregon. His previous works include the Eisner nominated series' Jaeger and High Crimes from Stela and Dark Horse Comics respectively, Savage Things and Doctor Fate from DC/Vertigo, Mockingbird for Marvel Comics, and covers for Dynamite Entertainment, BOOM! Studios, IDW and Image Comics. "We're always so thrilled to work with Ibrahim," says Dynamite CEO and Publisher, Nick Barrucci. "His talent knows no bounds, and his uncanny ability to master everything he touches made him the clear choice to take on our latest Bond tale. The term Solstice is synonymous with ‘pinnacle,' ‘zenith,' or ‘apex,' which Ibrahim exemplifies in all of his works!" In 2014, Dynamite Entertainment made headlines across the comics industry and beyond with the news that the New Jersey publisher had secured the license from Ian Fleming Publications Ltd to produce the first James Bond comics in 20 years. The first series, written by Transmetropolitan writer Warren Ellis, launched the following year to widespread critical acclaim, and was a breakout success in the comics specialty market. 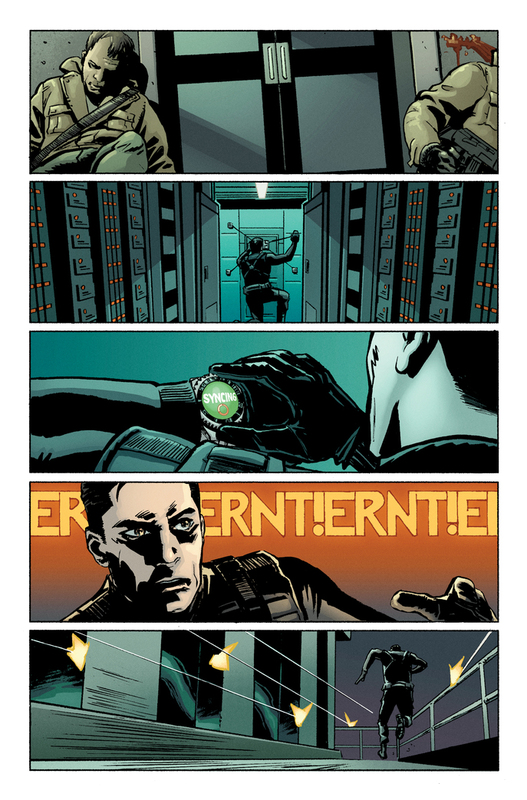 Subsequent James Bond story lines include Diggle and Casalanguida's Hammerhead and Kill Chain, James Robinson and Aaron Campbell's Felix Leiter, Benjamin Percy and Rapha Lobosco's Black Box, Kieron Gillen and Antonio Fuso's Service Special, Jody Houser's Moneypenny, and the first-ever comic adaptation of Flemings's first James Bond novel, Casino Royale, from Van Jensen and Dennis Calero. James Bond: Solstice will be solicited in Diamond Comic Distributors' September 2017 Previews catalog, the premier source of merchandise for the comic book specialty market, and slated for release in November. Comic book fans are encouraged to reserve copies of James Bond: Solstice with their local comic book retailers. 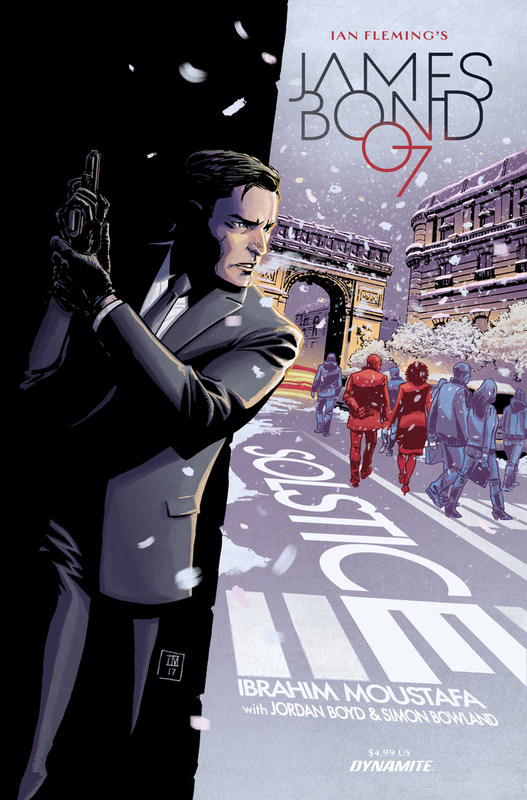 James Bond: Solstice will also be available for individual customer purchase through digital platforms courtesy of Comixology, Kindle, iBooks, Google Play, Dynamite Digital, iVerse, Madefire, and Dark Horse Digital.